Seasoned and dry hardwood bulkbag of logs cut to 8-10 inches of ash. With a massive shortage of dry wood last winter buy now to guarantee a winter of dry wood. We can fit 2 bags on one delivered pallet. 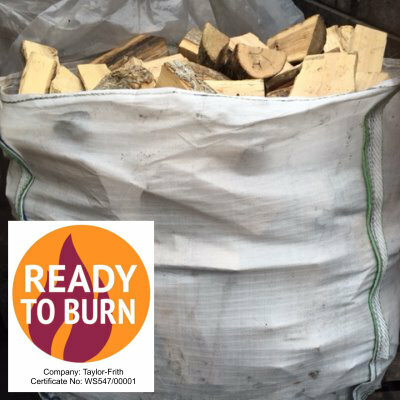 Due to high demand from customers we have started to supply bulk bags of seasoned logs. These bags are excellent value for money. Logs can be used on their own giving a good heat but for a short time, mix them with coal or smokeless fuel – they not only last longer but provide good economic sense. On our own multi-fuel stove we mix them with the economy briquettes.